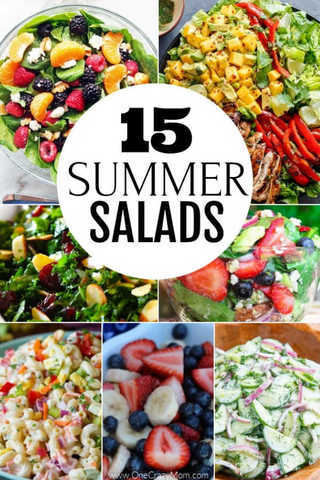 15 Quick and Easy Summer Salads You Will Love! Find 15 Summer Salad Recipes that are quick and easy. These salads are refreshing and perfect for the warmer months when you want something light to eat. 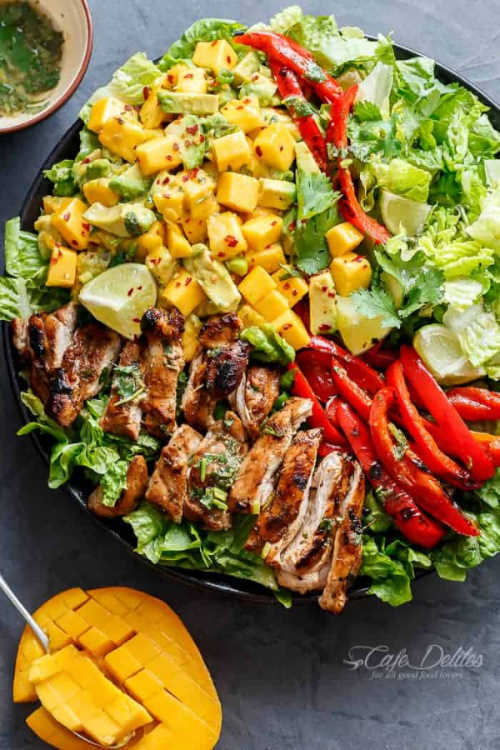 Salads are so light and refreshing in the summer. It’s the perfect meal when it’s hot outside and you don’t want to eat something heavy. One of my favorite salads is strawberry spinach salad. Yum! We have 15 delicious salads perfect for you to try this summer or this spring. There is something for everyone and lots of delicious salads to choose from. Cooking with vegetables that are still in season is a great way to save money. 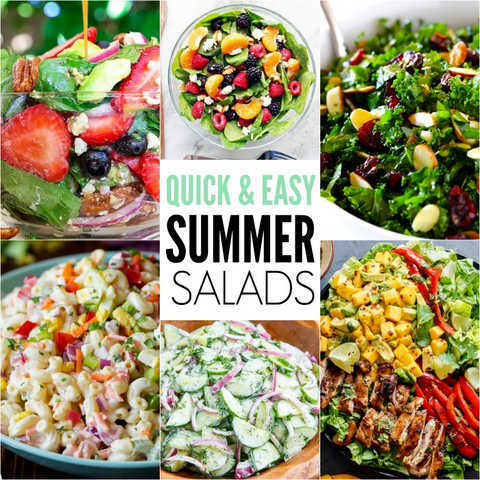 These summer salad recipes are delicious, healthy, and a great use of summer vegetables! Here are 15 easy summer salads to make this season. I can’t wait to try a couple of new summer salad recipes. A fresh summer spinach salad that’s delicious and healthy! Plus, it looks so pretty with all the different colors. 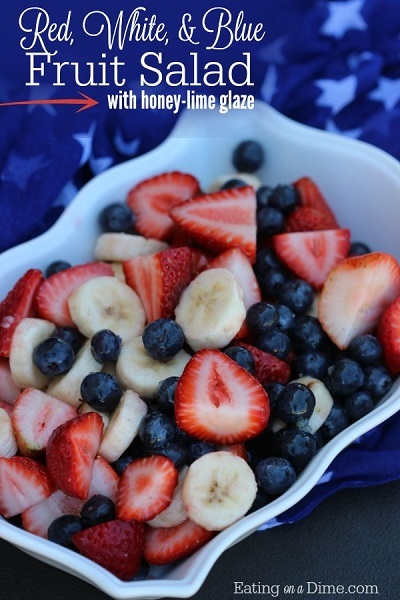 I just love this red white and blue fruit salad. It just screams 4th of July food! It is beautiful and you can throw it together in simply 5 minutes. 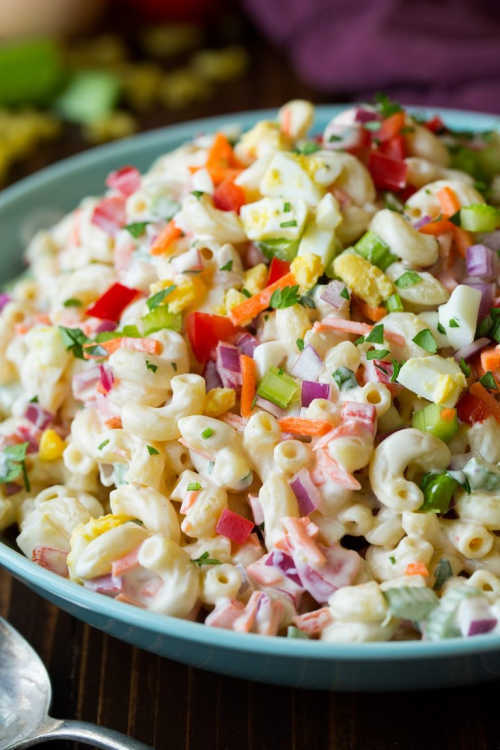 This macaroni salad is perfect for parties, potlucks, picnics, and of course a wonderful side dish for lunch or dinner. This is a great dish to make ahead of time. This simple recipe is a celebration of summer’s bounty in the most spectacular salad you will ever eat. 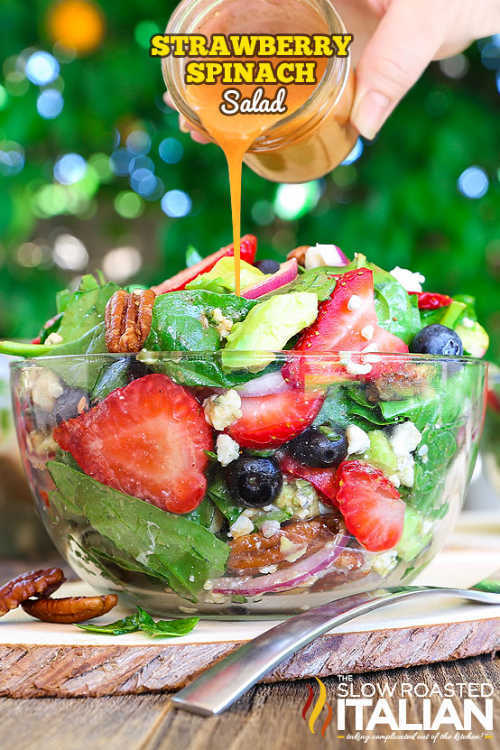 Lots of fresh strawberries and spinach make this salad refreshing and delicious. This is simple but packed with flavor! 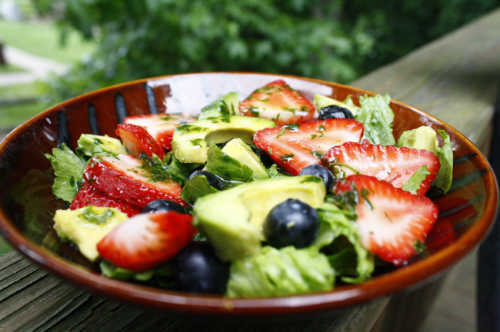 It is our go to salad recipe for summer BBQs and perfect to feed a crowd. This salad could not be easier to make! 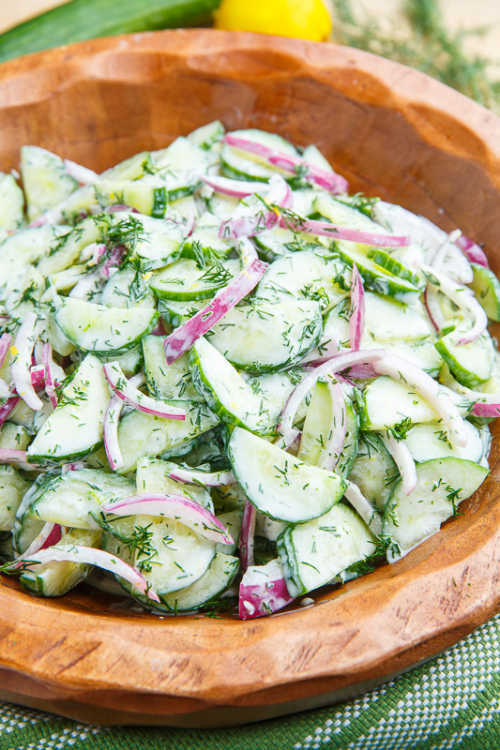 This salad is loaded with fresh cucumber and topped with the best creamy dill sauce. 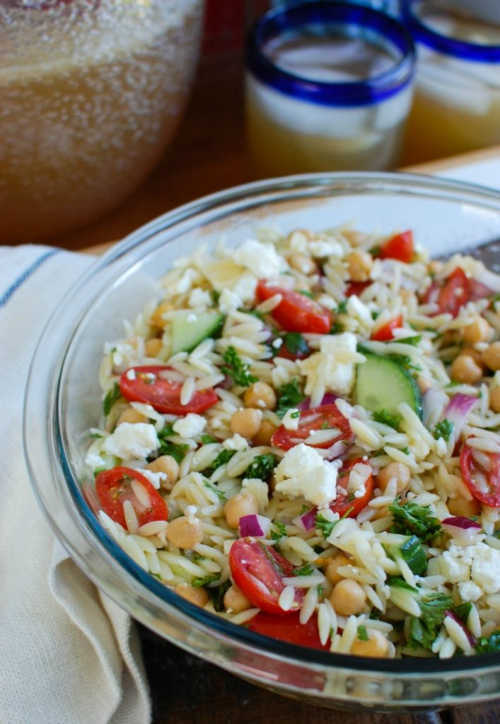 Summer Orzo Pasta Salad is a great addition to any summer get together! This recipe is light but hearty enough to please a hungry crowd. 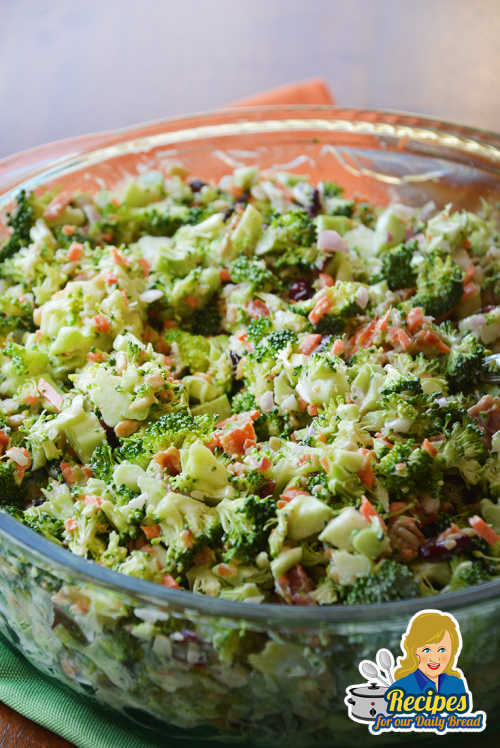 This broccoli salad is easy to make and a delicious summertime recipe. Everyone loves bacon and it combines so well with broccoli. 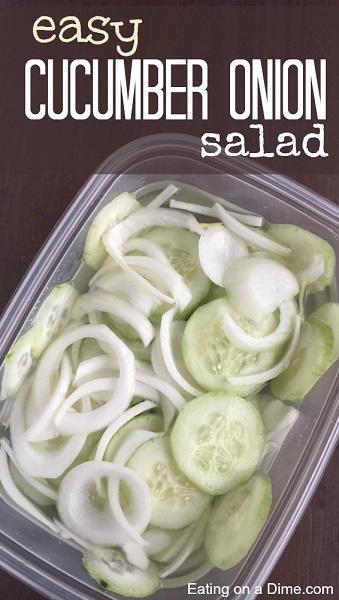 This salad is perfect for any BBQ, family gathering, or for a summer snack. Really… we keep this in our fridge all the time when I can get cucumbers cheap! 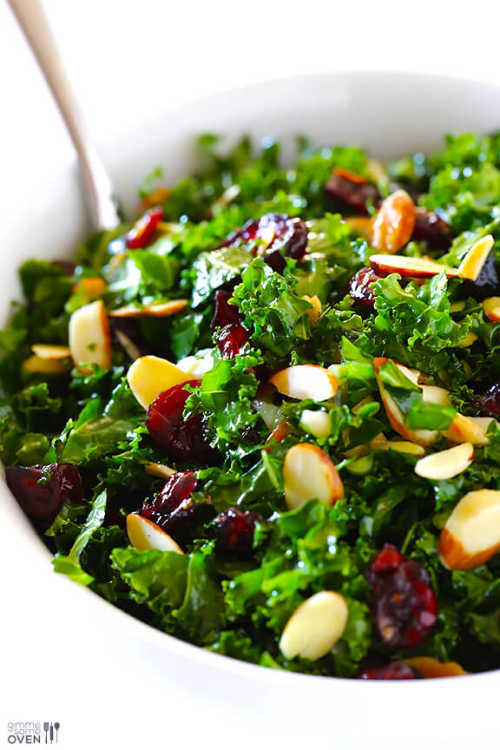 This healthy kale salad is topped with a warm cranberry almond vinaigrette and is a delicious summertime recipe. The dressing really takes this salad up a level. Yum! You’ll keep going back to this delicious chopped salad because it’s crisp, refreshing, and flavorful. Chopped salads are so popular and easy to make according to what your family likes. 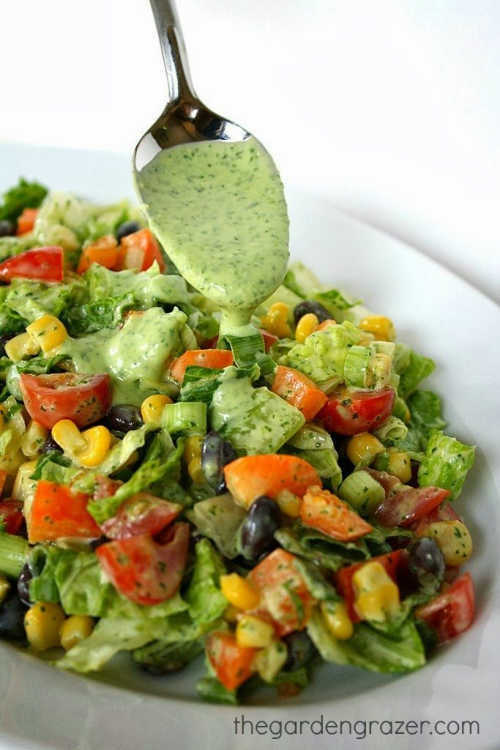 This has a dressing that doubles as a marinade! It’s easy to make and BIG on flavors! This delicious salad is great for summer barbecues or even a quick lunch. Light and refreshing and so easy to make. 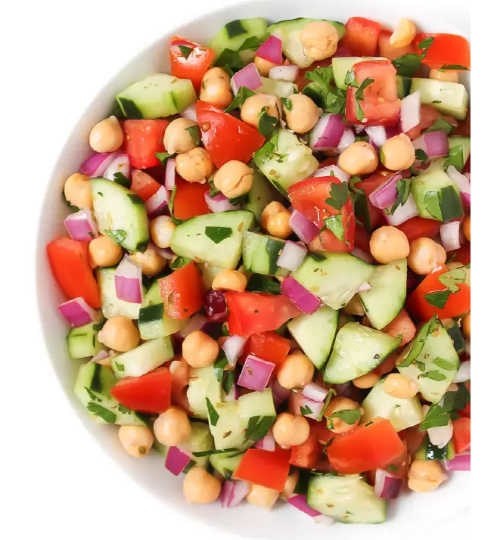 This gorgeous, nutritious, delicious salad has burst of color making it the perfect salad to have during the summer months. This recipe is always a crowd favorite. This comes together quickly with just a handful of ingredients and is one of our favorite go-to salads for summer! 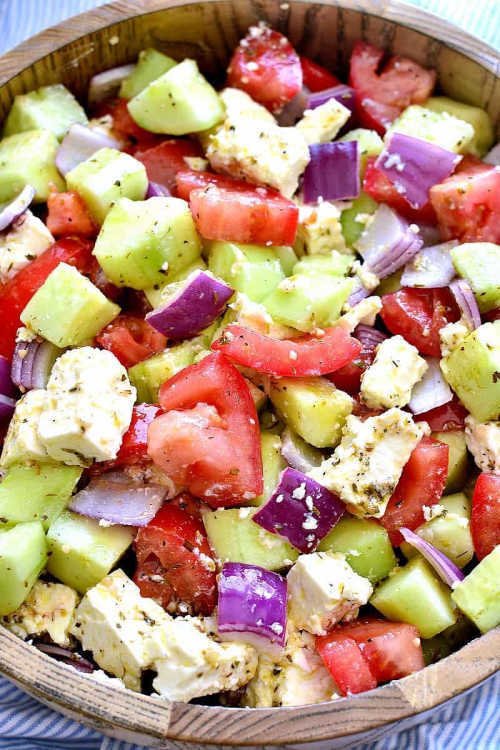 The feta blends so well with this veggies. Long hot Summer days call for easy Summer salads. There is something so refreshing about a light salad in the summer when you need a quick meal. Whether it’s a grilled chicken salad or spinach topped with fruit and nuts, there is something for everyone. I can’t wait to try these fresh Summer salad recipes! Salads are so easy and just perfect for hot days. 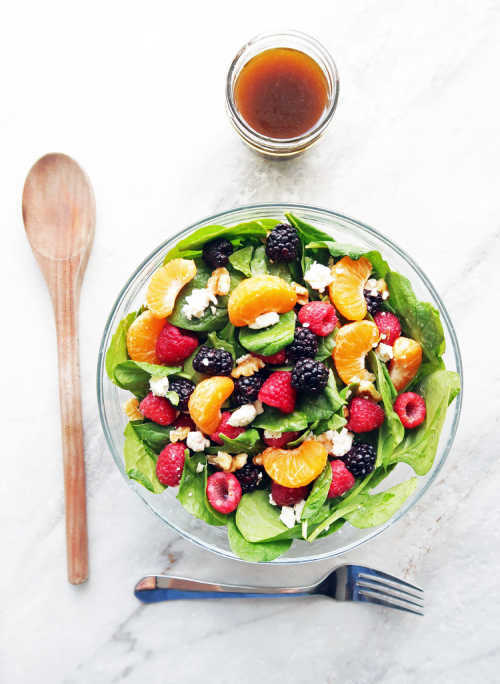 No need to heat up your stove or your kitchen when you can make a summer salad. Make one of these delicious salads and have a great lunch or dinner everyone will enjoy. We love to go to our local farmers market and stock up on lots of fresh produce. If you think salads are boring, think again. There are so many options. From shrimp salad and avocado salad to bean salad and corn salad, the ideas are truly endless. We love to make fruit salad to take to potlucks and cookouts. Another favorite salad recipe is potato salad and Cesar salad. You can’t go wrong with a salad and there is always something for everyone. My kids normally don’t like broccoli but love broccoli salads. Also, we fix pasta salad a lot to feed a crowd. It is budget friendly and easy to make. The same goes with cucumber salad and tomato salad. So frugal. 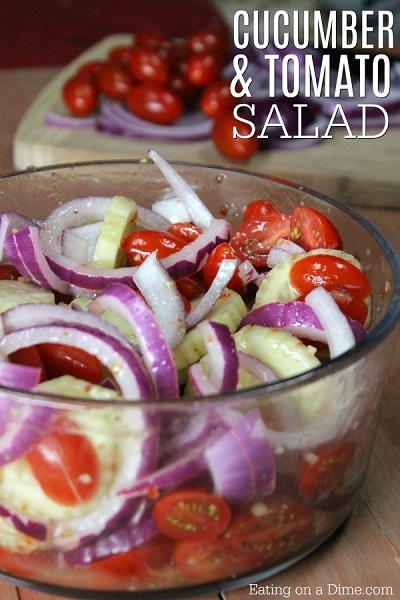 Add some red onion and olive oil for the best salad and so easy. If you want something with meat try chicken salad and maybe pea salad to balance out the meal. Let us know which of these easy summer salads you try. There are so many great options. I’m sure you will love these delicious Summer salads. The entire family will enjoy these recipes. Give them a try and let us know how everyone likes them. We normally fix salads several times a week in the summer and everyone always enjoys it. There are so many tasty options for everyone and they are all easy to put together. You won’t find any complicated recipes here! We are all about simple and easy. Busy schedules mean quick recipes and everyone is happy! This great stuff I love recipes. send out more.